In 2006, a method was discovered that simultaneously exfoliates and reduces graphite oxide by rapid heating (>2000 °C/min) to 1050 °C. 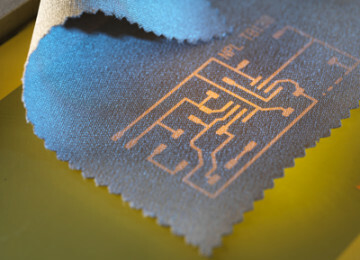 At this temperature, carbon dioxide is released as the oxygen functionalities are removed and explosively separates the sheets as it comes out, exposing a film of graphite oxide to the laser of a LightScribe DVD has also revealed to produce quality graphene at a low cost , and large amounts of graphene sheets may also be produced through this thermal methods . But route still has many chemical and structural defects. 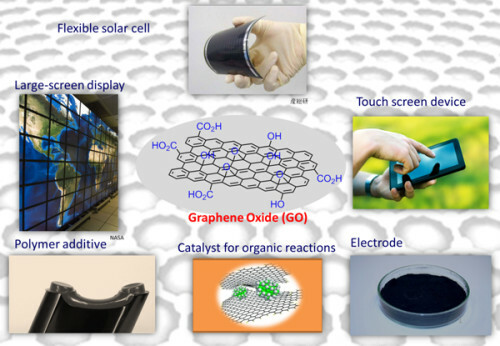 Graphene Oxide is modifying of graphite oxide and graphite oxide it formerly called graphitic oxide or graphitic acid, is a compound of carbon, oxygen, and hydrogen in variable ratios, obtained by treating graphite with strong oxidizers. The maximally oxidized bulk product is a yellow solid with Carbon to Oxygen ratio between 2.1 and 2.9, that retains the layer structure of graphite but with a much larger and irregular spacing. 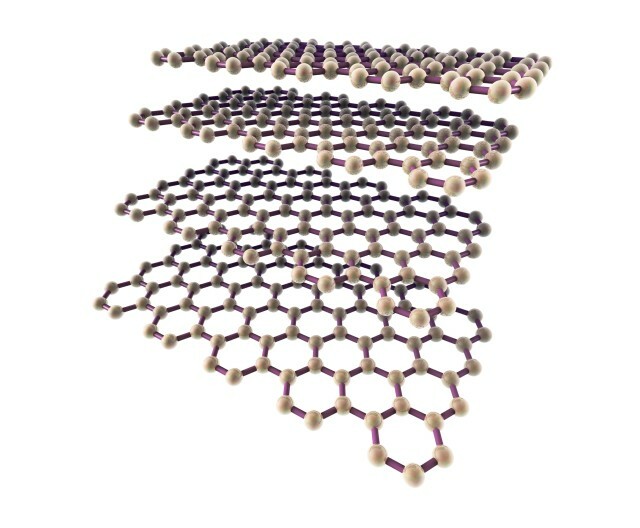 The bulk material disperses in basic solutions to yield monomolecular sheets, known as graphene oxide by analogy to graphene, the single-layer form of graphite. 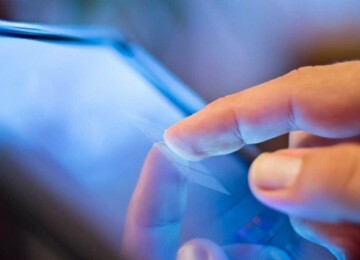 Graphene oxide sheets have been used to prepare a strong paper-like material and have recently attracted substantial interest as a possible intermediate for the manufacture of graphene. 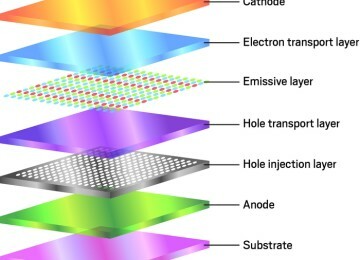 This goal remained elusive until 2012 since graphene obtained by this route still have some problem to product good quality graphene by this way! One of the advantages of the graphene oxide is its easy dispersible in water and other organic solvents, as well as in different matrices, due to the presence of the oxygen functionalities. This remains as a very important property when mixing the material with ceramic or polymer matrices when trying to improve their feature like its electrical and mechanical properties. Graphene oxide is often described as an electrical insulator, due to the disruption of its sp2 bonding networks. In order to recover the honeycomb hexagonal lattice, and with it the electrical conductivity, the reduction of the graphene oxide has to be achieved. It has to be taken into account that once most of the oxygen groups are removed, the reduced graphene oxide obtained is more difficult to disperse due to its tendency to create aggregates. 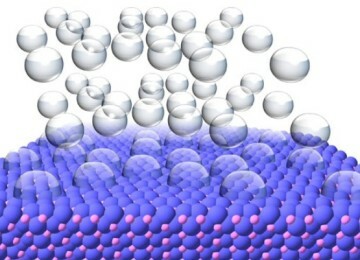 In order for graphene oxide to be usable as an intermediary in the creation of monolayer or few-layer graphene sheets, it is important to develop an oxidization and reduction process that is able to separate individual carbon layers and then isolate them without modifying their structure. 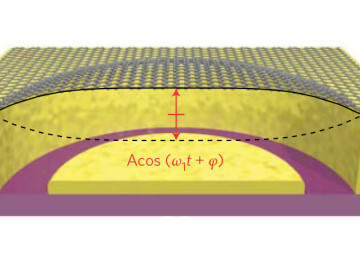 So far, while the chemical reduction of graphene oxide is currently seen as the most suitable method of mass production of graphene, it has been difficult for scientists to complete the task of producing graphene sheets of the same quality as mechanical exfoliation, for example, but on a much larger scale. 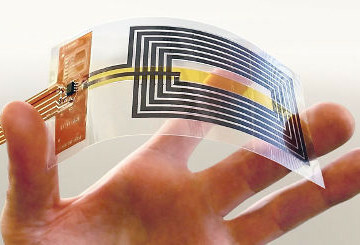 Once this issue is overcome, we can expect to see graphene become much more widely used in commercial and industrial applications.